Half Circle Skirt Pattern for Women (Free) – No Math Needed! Free Sewing Pattern: This Half Circle Skirt Pattern for Women is FREE and requires zero calculations. 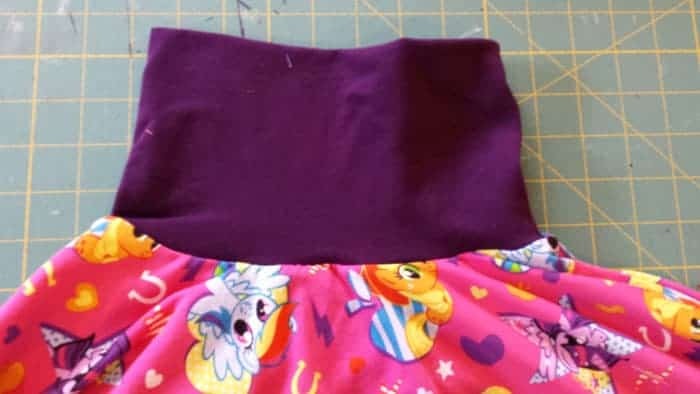 This simple and beginner friendly tutorial has three seams and your done! Can be made in under an hour Love this sewing project for women. This Half Circle Skirt Pattern for Women is easy to make and light and breezy. Perfect for spring and summer this skirt has a lovely drape to it. 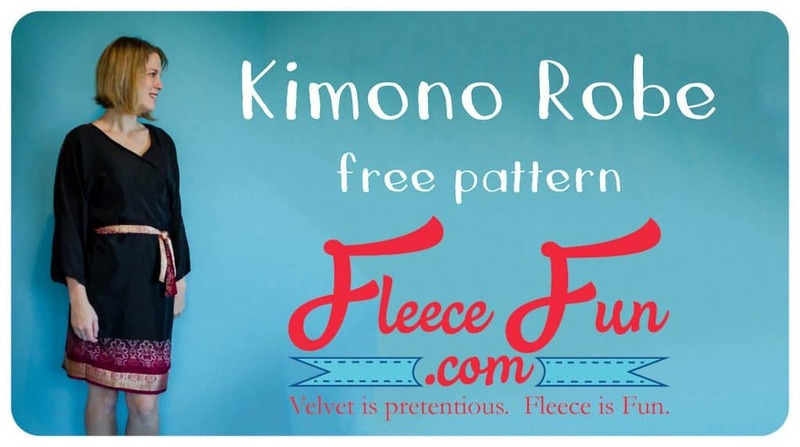 1 yard knit fabric (60″ wide) for skirt. A lightweight knit will drape nicely. 1/4 yard contrast knit fabric for waistband. This fabric must have a minimum of 50% stretch and good recovery. I suggest cotton lycra or nylon spandex. You will need to assemble the FREE pattern. For instructions on how to assemble the FREE sewing pattern click here. Cut the following piece for the waistband out of the contrast fabric. Ensure the amount of greatest stretch is parallel to the longer side (to go around the body). Cut 1 main skirt piece on the fold. IMPORTANT: follow the grain/stretch lines indicated on the waistband pattern piece. 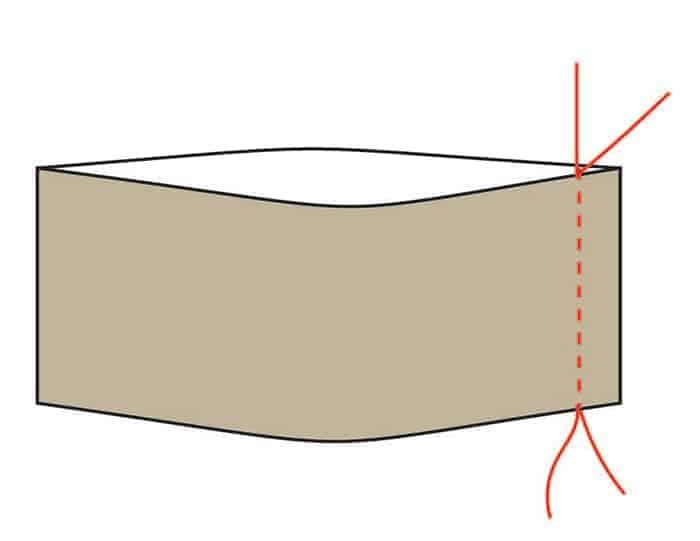 If you plan on leaving the bottom edge raw (like I did) make sure to keep you cut as clean as possible with sharp scissors and slow cutting. 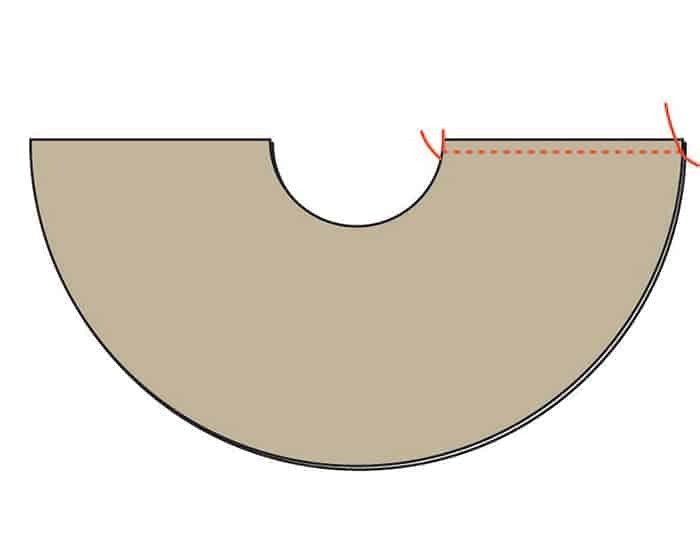 To assemble the skirt, stitch the side seam, right sides together, to form a donut-like shape. With right sides facing, sew the short ends of the waistband together to form a loop. 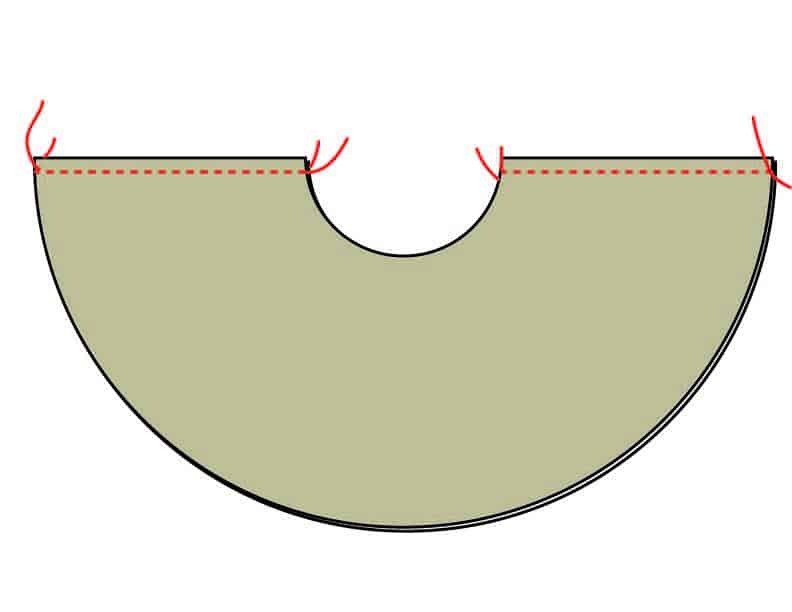 Fold it over, wrong sides facing. 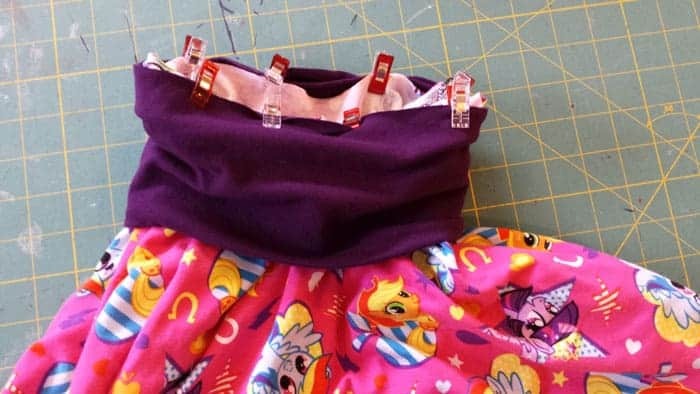 Pin the waistband to the right side of the skirt. You will need to slightly stretch the waistband to fit it to the skirt. Stitch. Since knit fabric doesn’t fray, you can leave the bottom hem plain, or do a narrow hem, or a rolled hem on your serger if you prefer. I left my bottom edge raw. That’s it! I love how fast and comfortable this skirt is, as a matter of fact it’s so great that there’s an child version of this skirt as well! You can check out that Free Pattern here. Want to learn how to cut straight lines and curves lines – check out this tutorial courtesy of Made Everyday!